Unknown artist, possibly Martin Johann “Kremser” Schmidt, “The Meeting of David and Abigail”, ca. 18th c., oil on canvas, Mulvane Art Museum permanent collection. This painting was donated to the Museum and became a part of the Endangered Art program. Through the support of local benefactors funds were raised for conservation efforts on this work of art. This sentiment of Nietzsche is often at the core of the intentions behind those who support the Mulvane Art Museum. It is being thankful such a thing exists that so inspired an artist to create. When we experience the world around us in profound ways and come to a deep appreciation of this profundity reflected in art and culture, it drives us to share it with the world. We want to communicate the gratitude, insight or awe-inspiring thought that we experience when we engage with the best that artists have to offer. That is a part of what the Mulvane Art Museum does. Those that support the museum are our partners in this endeavor. Partners with whom we cannot do without. Your financial contributions allow us to bring exciting new exhibitions to the museum, provide excellent art programs and classes to the Topeka community, and keep the ArtLab open to the public at no cost to visitors. We are so grateful for the supportive Washburn University and Topeka community! If you are interested in making a donation to the Mulvane please visit www.wualumni.org/mulvane or give us a call at (785) 670-1124. 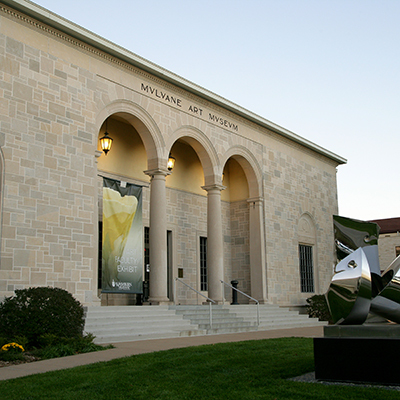 The Mulvane Art Museum’s curatorial staff are working to raise funds to conserve artworks from the Museum’s permanent collection. 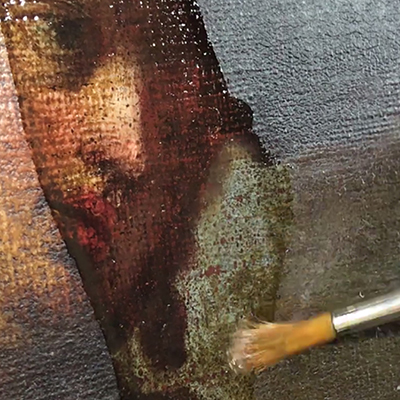 This fundraising project titled Endangered Art includes exhibitions, lectures, and other public programming meant to update the public on the progress of conservation and to educate students, faculty, and community about the field of art conservation. 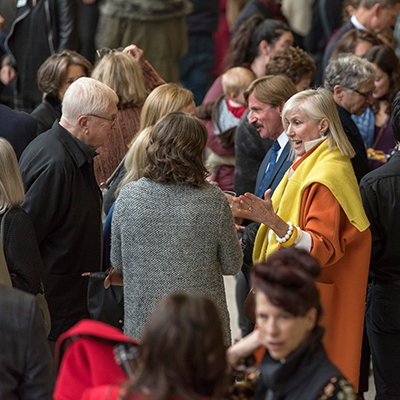 This comprehensive endeavor engages the community on a personal level, allowing visitors and members of Washburn University to feel a sense of ownership and responsibility for our artworks. For more information call: (785) 670-2224. Named in honor of Rita Blitt’s husband Irwin Blitt (1928-2017), who was a constant source of unconditional support to Rita and her creative spirit, the fellowship will be awarded to a Washburn University student who will work with the Rita Blitt Collection during an academic year to research and develop a curatorial project under the guidance of museum curatorial staff and a faculty mentor. 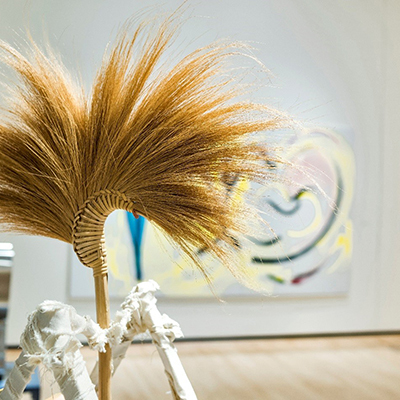 Curatorial projects will culminate in an exhibition or an interactive multi-media project with interpretive content, the presentation of a choreographed dance performance or musical composition, or the completion of a research paper or catalogue.